Do you put off launching new products or services so you can focus on building a larger list first? Are you worried that your next product launch won’t bring the sales you’d like because your list is too small? 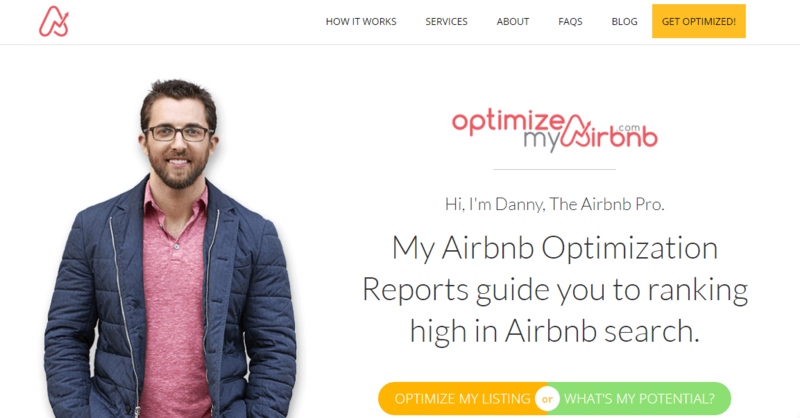 In this case study, we’ll learn how Danny Rusteen of OptimizeMyAirbnb.com quickly increased the size of his list 650% using OptinMonster and then confidently launched a whole new product. Danny Rusteen from OptimizeMyAirbnb.com helps Airbnb hosts understand how to make their listings stand out and get booked. He also sells products and consulting teaching hosts how to increase the profit received from each listing. Before using OptinMonster, Danny received only about 400 email list signups each year. He realized that in order to increase both product and consulting sales, he needed to focus on building a larger email list. With years of experience working for Airbnb and running an Airbnb management company, Danny certainly has the authority to know what works and what doesn’t in that industry. Danny decided to use his experience to craft a lead magnet. A lead magnet is a free, valuable piece of content offered in exchange for an email address. Need ideas for your lead magnet? Here are 69 highly effective lead magnets you can use to grow your email list. 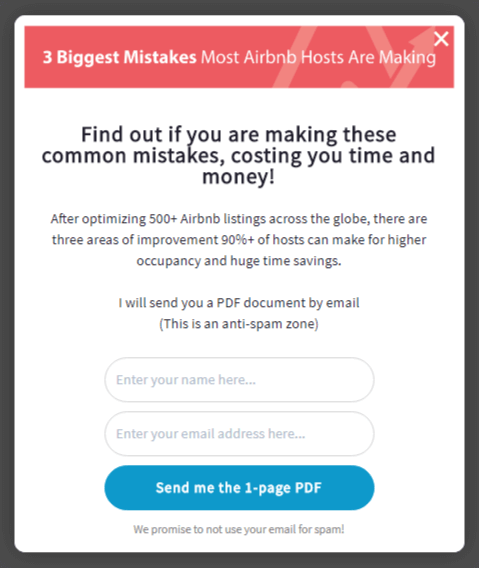 Danny’s lead magnet shared the top three mistakes Airbnb hosts make when listing their property, and how to correct those mistakes. This lightbox optin displays only when the visitor attempts to exit the site using our Exit-intent technology. Exit-intent triggers an optin only when the visitor’s mouse motions towards the browser, an indicator they’re about to leave the site. Scarcity: Let your readers know that your offer is limited, typically by quantity. Urgency: Encourage your visitor to act quickly before the offer expires. Curiosity: Peak the reader’s interest by hinting at a revelation or transformation. Danny used curiosity to capture the abandoning visitor’s attention with the copy “3 Biggest Mistakes Most Airbnb Hosts Are Making” and it worked. This optin converts approx. 3.82% of abandoning site visitors. On some specific pages, it even converts as many as 31% of abandoning visitors! After seeing such success from the lead magnet, Danny wanted to make sure every visitor saw an offer to join his email list. He added a floating bar optin that runs along the full width of the bottom of the website. It appears after the visitor has been on the site for at least five seconds and shows the readers two buttons. The button that reads “Yes, I Want Access” immediately reveals an email subscription form. The No button simply closes the optin. This is done using our Yes/No feature, which replaces the standard optin form with two buttons. Either button can either reveal the optin form, redirect to another URL, or close the optin. The floating bar optin converts approx. 2.27% of site visitors and added over 1,200 subscribers in just over six months. Once Danny was able to use OptinMonster to add subscribers to his list, he decided to test using it to drive sales directly. 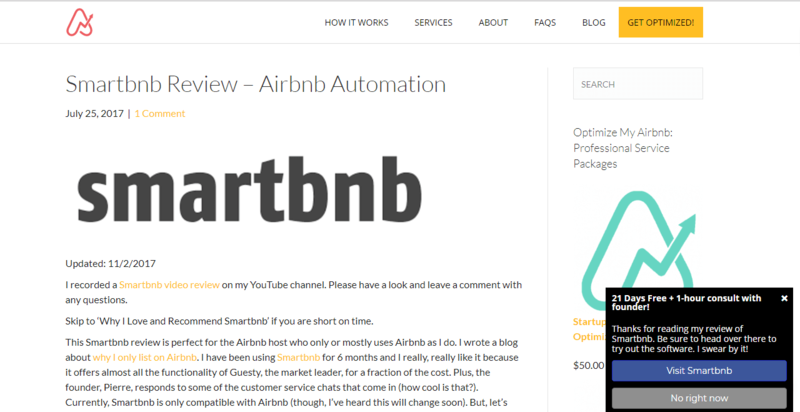 Smartbnb automates the listing prices and reservation requests of an Airbnb. Danny receives a small commission from Smartbnb for any customers referred from his site. On Danny’s page reviewing Smartbnb, he added a slide in optin with a bonus offer for anyone who starts a Smartbnb free trial through his site. This optin converts approx. 15% of visitors. The more Danny used OptinMonster to direct visitors’ attention to the products and services he recommends, the more sales increased. Before using OptinMonster, he would make 15-20 sales per month of these ancillary products and services. After using OptinMonster, he now receives around 30 sales each month. That’s an average 66% increase in sales each month. With a robust email list now in place, Danny felt prepared to launch his own book, Optimize Your Airbnb. It’s filled with advanced strategies for the Airbnb host wanting to take their income, guest experience, and hospitality to the next level. He uses OptinMonster on the book’s website, too. 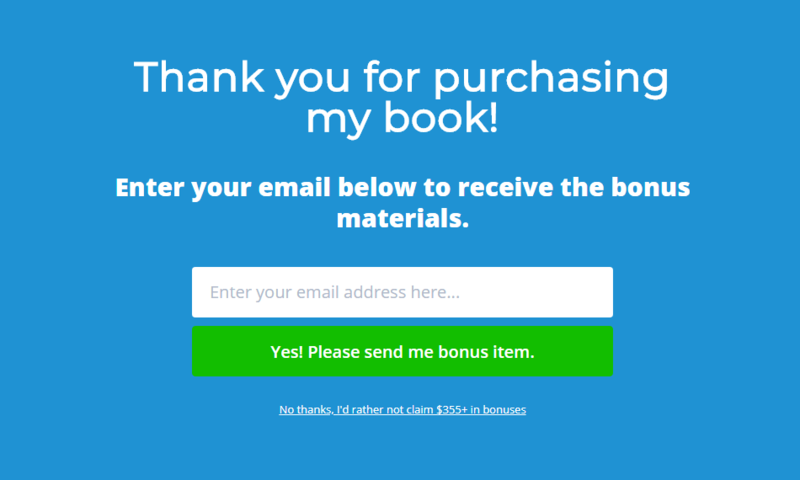 Customers who purchase the book from a third-party seller are given access to bonuses, shared via link in the book itself. When readers visit the link, the full screen optin below appears. The optin above converts 65.85% of buyers. Bringing customers to his own site this way lets Danny continue building a list of converted buyers, even if he can’t access the email addresses of those buyers directly from the third-party seller. The user experience is top notch. It’s an easy system to learn, but when you are running a business and trying to learn 10+ softwares, it’s nice to just have the experts to take care of some tasks on your behalf. This service pays for itself 10x every month at least. 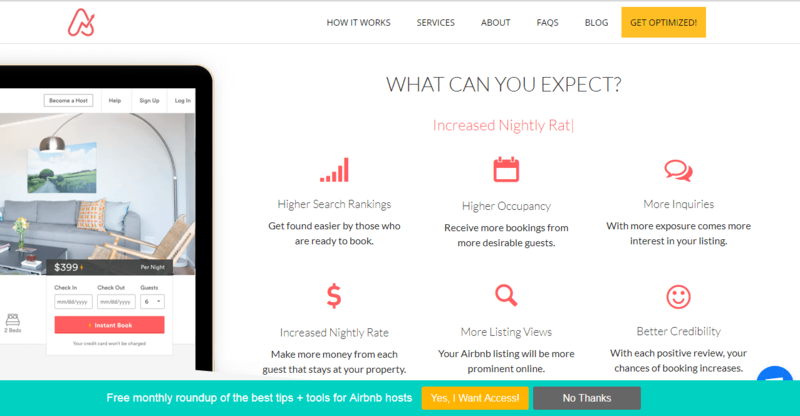 OptimizeMyAirbnb used OptinMonster to add subscribers to his list and drive product sales. OptimizeMyAirbnb added 1500 subscribers to its list in six months. OptimizeMyAirbnb increased its email list by 650%. OptinMonster has been an abolute pleasure to work with. It was honestly like magic. I took 30 minutes to setup a campaign and BAM, emails started coming in. Since beginning to use OptinMonster, I’ve received about 1500 subscribers in just over six months. Not only does the service pay for itself in more sales every month, but the customer service is expert.